His eminence with Nujaifi discussed the future government, forming the largest bloc and the preparations for the first meeting of the fourth session of House of Representatives. His eminence stressed the importance of national majority through the current phase in order to form a strong government facing a national opposition that review, assess and monitor, and pointed out the importance of analyzing inputs and challenges and take responsibilities towards them. 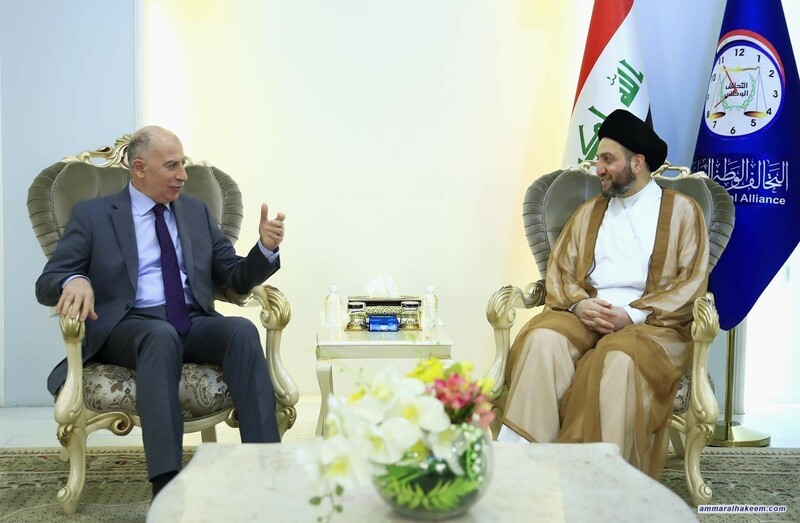 His eminence stressed the importance of invoking the Iraqi decision and the Iraqi interest, noted the need for political stability in Iraq to provide services, employment opportunities and reconstruction of liberated cities and the cities of the liberators who offered sacrifices.